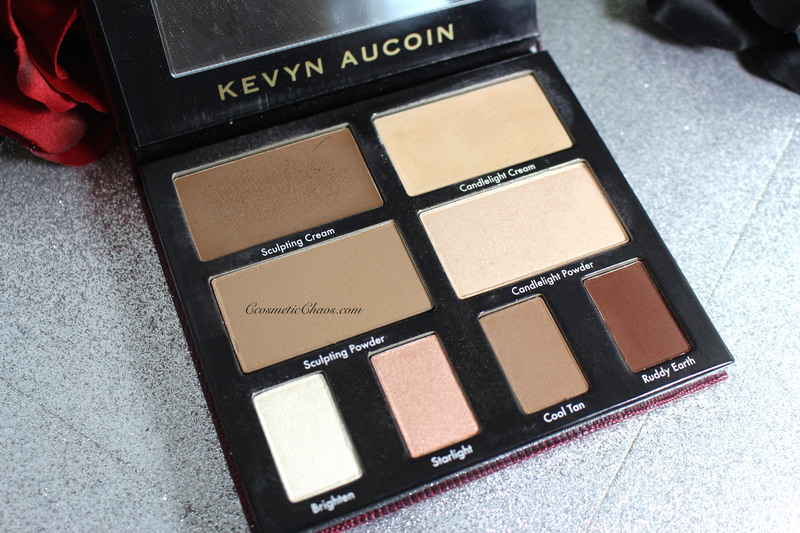 In my Birthday Haul video lots of people asked to see a demo and review of the Kevin Aucoin Contour Book. With such requests, here it is! A portable contour palette with every shade needed to redefine the look of your face along with detailed instructions on how to do it. Make cheekbones appear stronger, your face appear slimmer, or create a more sculpted appearance with this contour palette. Kevyn Aucoin is considered to be one of the most iconic, influential makeup artists of our time. He pioneered the “art of contouring” and his innovative techniques transformed the faces of supermodels, celebrities, and women everywhere. This palette features cream and powder versions of his legendary contour products, conveniently in a travel-size palette. From three eye shadows to The Sculpting Powder, this palette has every product you need and a how-to guide to help you shape an expert look. That being said, I am glad I waited because Volume 2 is infinitely better. The pans are almost three times the size and it has 2 more options as well. The second version has much bigger pans on all accounts. 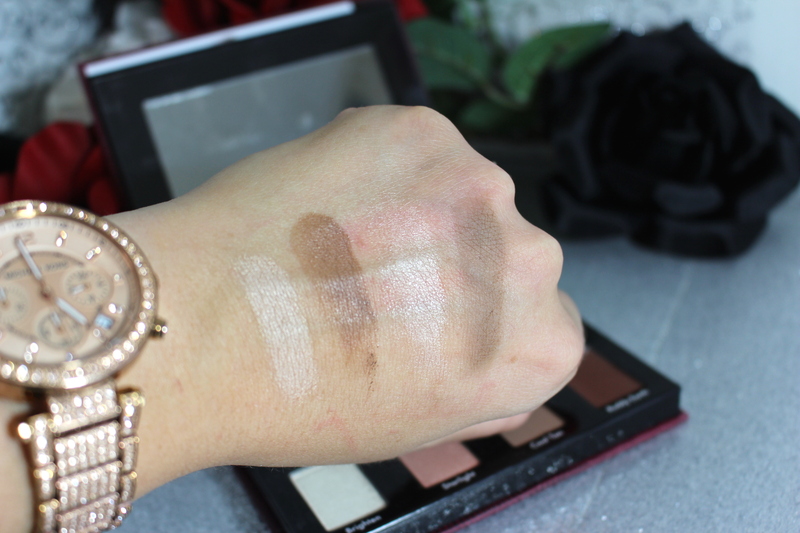 Two cream versions and two powder versions of the contouring products. 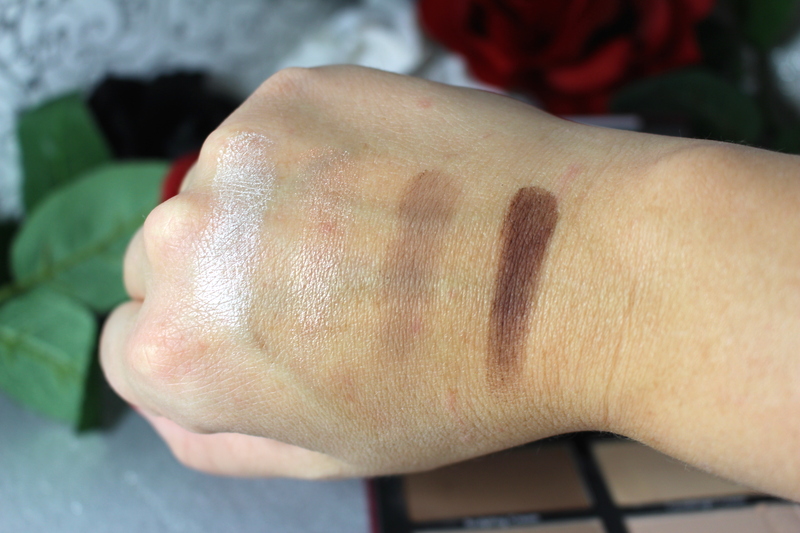 It also includes four eyeshadows that are beautifully pigmented. These products lean more towards natural beauty and enhancing the features you have instead of trying to over do the artistry of makeup. I could definitely see myself myself bringing this as my only makeup for a weekend away for a work function. My one complaint: I really do love this product and would recommend it. However I wish there was a guard between the cream product and the powder products. I have used it four times and I am already seeing some of the powder getting stuck in the cream contour pans, even while I am trying not to make a mess of it! Stay tuned for the demo video coming up later this week! It does look really nice. But I get ur point. Wonder if there is something u could out over them like a piece of that plastic sheeting that comes in pallets when u first get them. If u have any ur not using it haven’t trashed which is usually where mine goes. Just an idea. Thanks so much for sharing. This looks really nice. But the price. Gah! I’m happy with my Lorac contour palette. Oooh I think I need this! I’ve been wanting to try KA products for a while now and this is a fantastic way to try a whole bunch at once. And honestly, the price isn’t that bad to try 8 different KA products! You’re right, the volume 2 is way better than volume 1. Maybe you can re-purpose a clear acetate plastic cover from an old report cover or file folder?